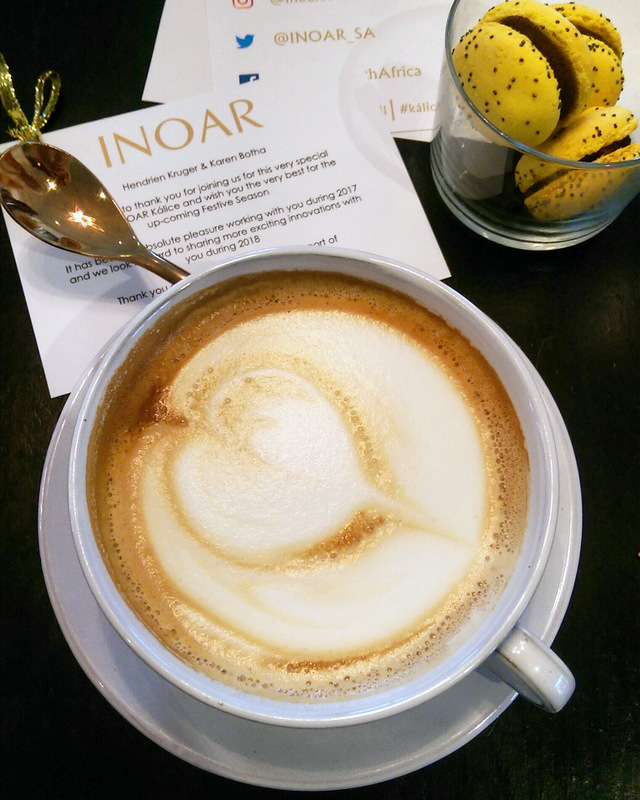 Last week I attended the launch for INOAR’s new multifunctional oil at The Silo Hotel in the foreshore and, as always, the venue totally delivered on a beautiful setting and fabulous food. 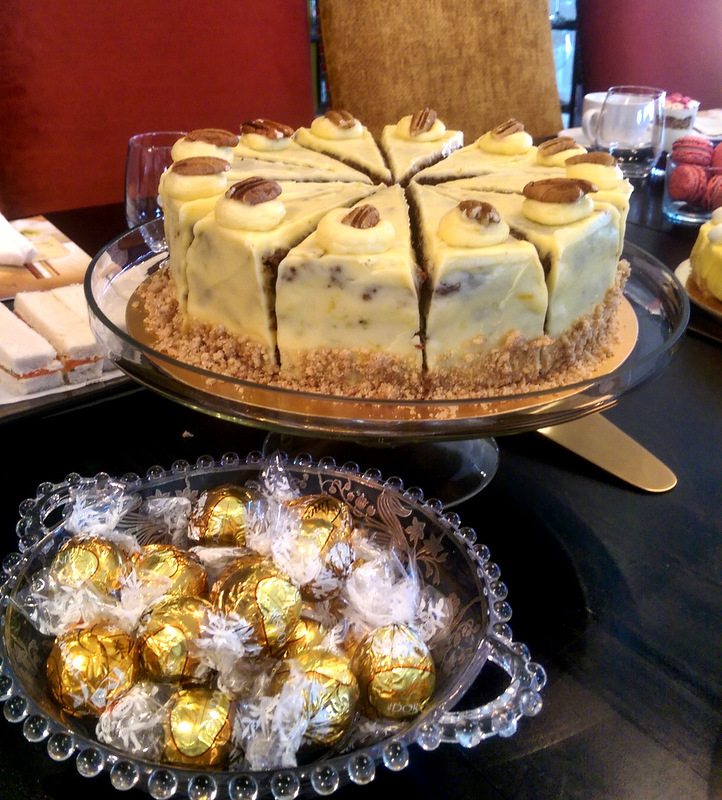 If you haven’t tried the Silo’s carrot cake, please make a plan. It’s a game changer! I don’t care what this baby costs, I’ll be ordering several for my birthday in March. As for INOAR’s lovely newbie, Kalice multi-purpose premium oil (R780 for 100ml, selected salons and online) is made from a blend of antioxidant-rich beauty oils (argan, macadamia, sweet almond, myrrh, jasmine, rosemary and ojon), has a dry finish and can be used to hydrate your hair, body or face. It’s pronounced Ka-lee-see, like the mother of dragons. The most interesting oil in the mix is ojon that, INOAR reckon, is the new ‘it oil’ on the block. Extracted from the nut of a palm-like tree palm-like tree that grows in the Amazon (in a way that’s sustainable and does no harm), locals use it to deep condition their tresses as its rich in essential lipids and can penetrate deep into the hair shaft. Aside from applying Kalice directly to your hair, you can also add it to your shampoo or conditioner to bump up it’s hydration factor. I don’t struggle with dry hair (if anything it gets greasy too fast) so I’ve been using Kalice on my skin and really, really like it. It absorbs light lightning yet leaves your skin feeling supple. I’ve also tried it as a make-up remover, something recommended to me by the INOAR girls, and yep, I can totally see why they’re so smitten. It whipped off both long-wearing liquid lipstick and mascara like a boss! 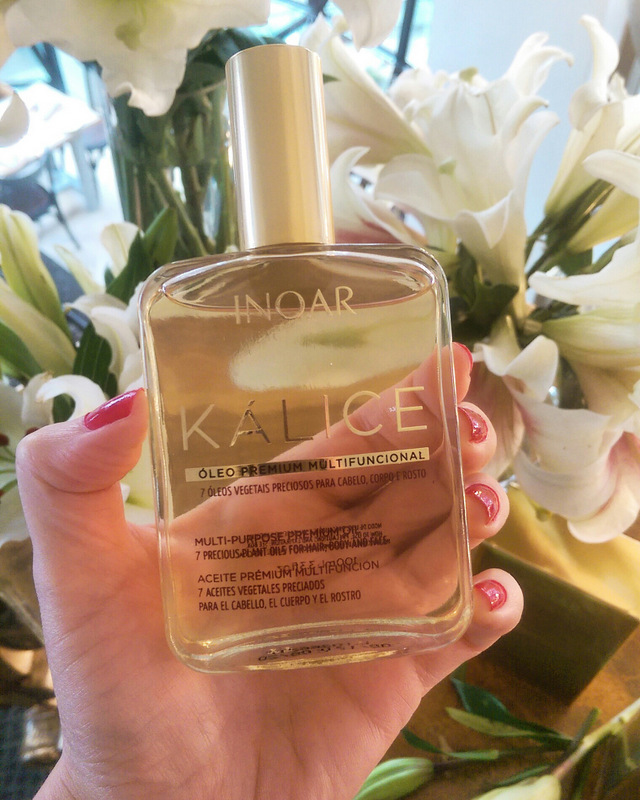 In a way, Kalice reminds me a lot of NUXE’s huile prodigieuse in that it’s also a dry touch multitasker but I prefer Kalice’s scent – like flowers in the sun which reminds me of the beaches in Cancun.